Who wants to win anyway? I have just come back from a global leadership workshop for a medium-sized company in Vienna. Almost 40 leaders who participated went through one and a half days of intensive and successful training. The goal was: to create the basis for winning team leadership. In these types of workshops, the question inevitably arises as to why and whether we want to win. 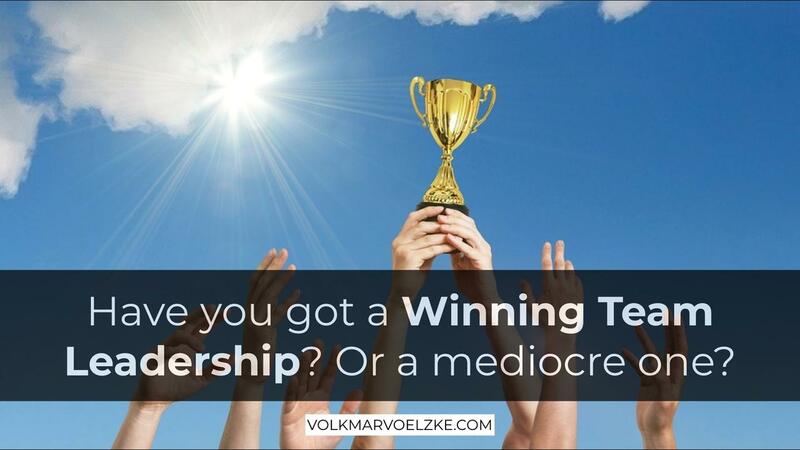 Is winning good at all? And, will others not lose if we win too much? The answer to these questions is simple: once you have put the participants in a playful competitive situation, everyone will absolutely want to win - virtually without exception. What really makes us have doubts about winning is the fear of too much success, because success obliges. Success means responsibility. Success raises the bar. More ambition. Most companies and teams have too little "hunger" for success. The ambition to achieve something truly outstanding is far too little developed. Fortunately, ambition can be awakened and nurtured. More focus. Only those who are focused can win. Most teams and companies get bogged down in daily problems far too much and constantly put the urgent before the important. More leadership. Yes, it really needs excellent leadership (instead of ordinary management). Leadership that makes winning a non-negotiable goal and shapes the team accordingly. All three points are said simply, but they are not trivial with implementation, especially if you have an existing team, with old stories and an attitude "so far things have gone quite well." If you want a workshop similar to the one I mentioned at the beginning (or further activities), just contact me. Success will grow pretty fast.